Create and manage your personnel certifications on the Tracking tab in People, on the Management menu. The Tracking tab lists all the certifications held by your active employees, including when each item is due and whether it's missing any documentation. From here, you can filter certifications by person, category, type, and due date. You can also update certifications and attach documentation. If you subscribe to the Forms module in Helm CONNECT Compliance, personnel certifications can also be updated when your crew complete forms during their work. You can decide which certifications you'd like to manage from shore, and which certifications can be renewed by forms. Example If you require your crew to attend a specific number of man overboard drills each year, you could link a Man Overboard Drill form to a Man Overboard Training certification type. 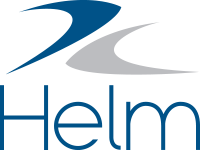 When the form is completed, Helm CONNECT will automatically renew the Man Overboard Training certification for each crew member who attended the drill. Updating certifications with forms takes the burden off your shore-based staff to update each crew member's certification record for training or other certifications items completed onboard your assets. Note Only certification items created through templates can be renewed with forms.